Lisa Schaefer, a lovely person when you get a chance to at least say hello to her. She is a charm filled lady, and is actually a Milliner. In fact, she has been of such high calibre in the fashion industry for over ten years. 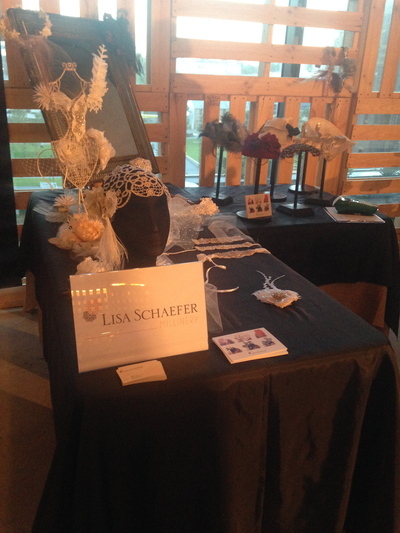 Welcome to Lisa Schaefer Millinery. Lisa makes all of her products at her home studio in New South Wales. 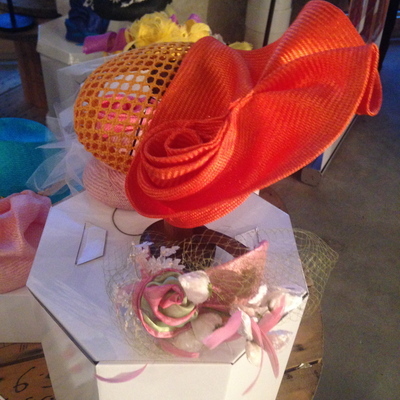 If you're after the perfect fascinator for race day, then you're at the right place. It is not an easy task to find the right headwear to go with that pretty dress - silk or otherwise. Having been fortunate to have viewed some of her bespoke hats designed for the races at a recent fashion event, I was in seventh heaven. Only the finest materials are used, and I was lucky to catch a few models wearing them at a recent catwalk appearance too. Fresh off the runway indeed. A vintage flair is also enjoyed in some of her products. 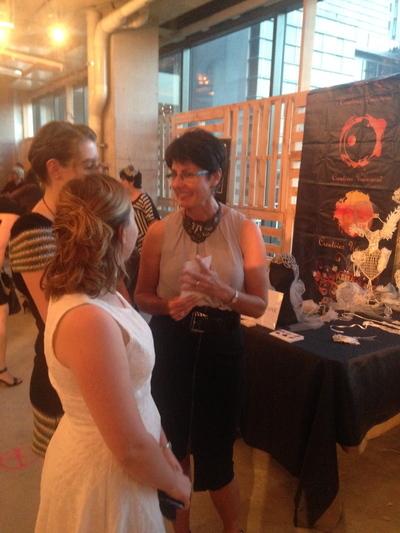 Here is Lisa, chatting to a few more fashion lovers. 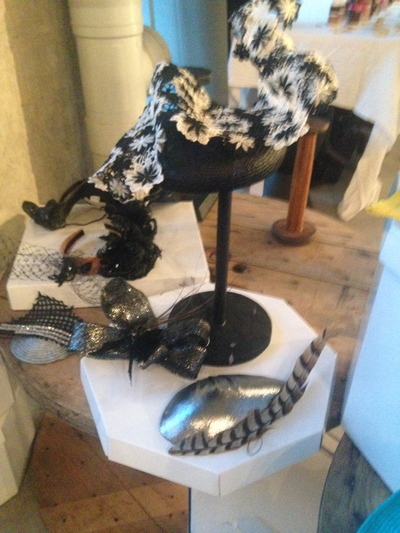 If you prefer to wear a fascinator for an occasion other than the races, Lisa also has you covered. You see, Lisa is able to tailor the right, fashionable headwear taking your bone structure into account. Colour schemes are important too. She realises that not everyone is into the traditional black and white. others might want to wear lighter, brighter colours. Your personality is also considered, along with the occasion and the outfit you wish to wear. This is a hot fashion tip. Before investing in a fascinator, it is wise to have your dress, shoes and jewellery decided upon, organised and purchased beforehand. That way, your desired look is easily accomplished with less or any hassle. If you're fortunate enough to be getting married, the fashion world is your oyster here. 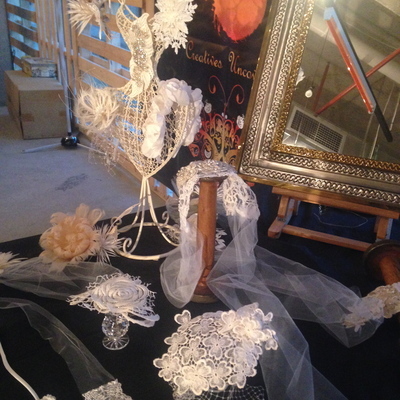 Lisa is also an expert when it comes to bridal headpieces for your special day. All bespoke pieces are definitely handmade. All of her headwear products are packed in a sturdy, elegant hat boxes and delivered right to your doorstep. One of fashions best kept secrets, yet not so secret anymore. Lisa posts her newer creations on her Facebook page, of which can be found by clicking here. Such a fashion statement, and now having met Lisa, I am more excited about going to the races, and so should you.